Building WordPress themes and plugins locally is a huge time saver. Creating a local development environment is nothing complicated. As you probably already know, it is simply a web server running on your computer, as opposed to a remote one, which is usually a hosting plan you purchased. Coding WordPress themes and plugins entails a lot of back and forth testing, as well as browser refreshing. Since there are no latency issues to deal with on a local server environment, you work through this process a lot faster than on a live server, where you have to wait for your network connection. Moreover by developing on a local server, you give yourself ample room for mistakes. That is, you can make as many mistakes as possible and cause no harm whatsoever. This is different with a live environment since it typically hosts other websites and some mistakes may be unforgiving – especially those that may affect the security of the live server. Furthermore, if you want to test out any themes or plugins, before adding them to your live website, having a local installation of WordPress to experiment on has its obvious benefits. If you like the sound of setting up your own local server environment to install WordPress on your computer, then this article will highlight some of the best options. You will also find a walk through guide to setting this up with my service of choice. Years ago, setting up a local server environment to run PHP or other server side languages wasn’t a task for programming hobbyists; you had to know your stuff. Typically you’d need to install precompiled binaries for PHP, install web server software (such as Apache), and then setup a database. However things are a lot easier now thanks to applications such as XAMPP and MAMP, which are the two most popular options for creating a local server environment. These are basically single application packages that bundle all the components required to run a local web server that can host a WordPress installation. Essentially they are all-in-one solutions that let you create a local server environment with little headache. 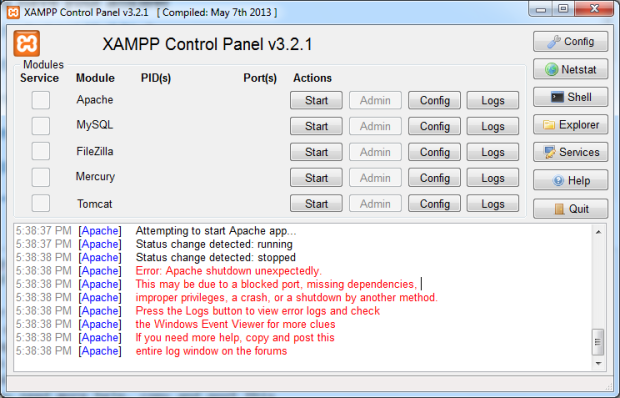 XAMPP is a cross-platform application that bundles PHP, Perl, the Apache server, and MySQL database. It works on Windows, Linux, Mac OS X, and Solaris platforms (hence the cross-platform description). XAMPP makes it very easy to set up a local server. Once that job is done, you can install WordPress on your computer, and begin testing and experimenting with privacy and safety. You can find detailed instructions on setting up XAMPP and then installing WordPress here. 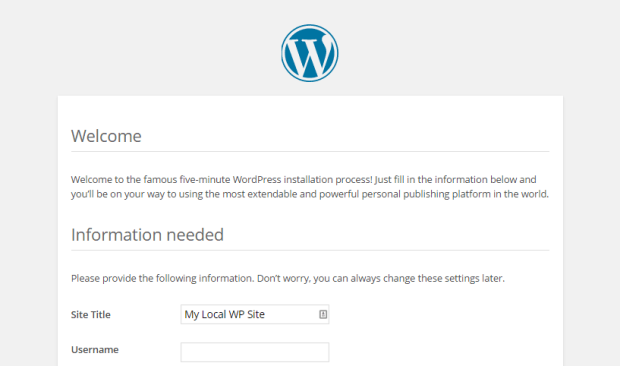 This is perhaps one of the most popular methods for setting up a local installation of WordPress. I used it myself for many years in the past. However, I have since switched to an even easier to use option, which we will get to shortly. XAMPP is free to use but Windows users have another alternative in WAMP, a Windows-only version. Most people, however, prefer XAMPP as it tends to work problem-free for the most part. MAMP, or Macintosh, Apache, MySQL, and PHP, also bundles PHP, Perl or Python, Apache, and MySQL database. 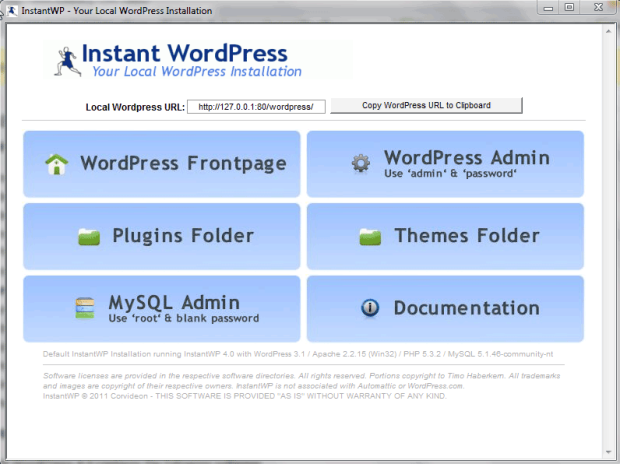 However, the end result is the same, in that you get a local server environment, upon which you can install WordPress. 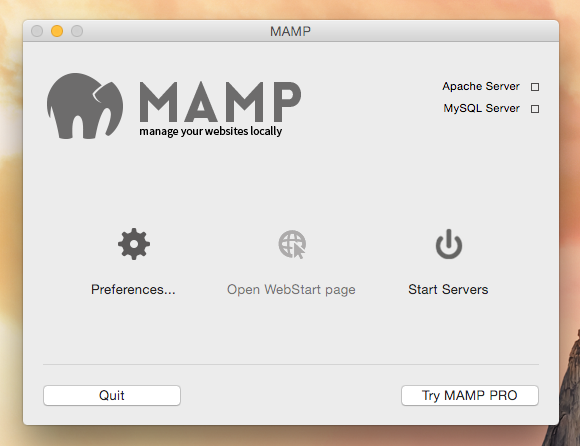 Unlike XAMPP, MAMP is optimized only for Mac OS X and doesn’t work on other platforms. For this reason, the choice between XAMPP and MAMP usually boils down to whether you are using a MAC or Windows machine. MAMP is available in both free and premium options, and can be downloaded from the MAMP website. The setup process is pretty quick and painless and only needs to be done once, after which you can install multiple local installations of WordPress as needed. For a detailed and easy to follow guide, check out this post at WPMU DEV. You might have come across articles saying that MAMP is better than XAMPP or vice versa, but the truth is that there’s really no significant difference. Both work well and it’s basically your platform that dictates what you choose. If you are looking for a complete standalone, portable WordPress installation, then Instant WordPress could be just what you need. The free service can run from a USB key, giving you a fully portable installation of WordPress you can easily and quickly move, from one machine to another. If you ever need to demonstrate a WordPress website in a location where you might not be able to get online, this could be a real life saver. Instant WordPress doesn’t support Multisite, or work on a Mac, but for everyone else, it’s a great option for creating your own portable WordPress website. After using the above XAMPP configuration for a few years, I finally switched to DesktopServer and haven’t looked back. Many users are happy with installing and running XAMPP; but for me, it was starting to consume large amounts of memory on my computer and causing everything to slow down. After looking for an alternative, DesktopServer seemed like a good option, and thanks to its simplicity, it’s now my recommended option for running an installation of WordPress on a local computer. Although DesktopServer does use XAMPP, for some reason it ran more efficiently on my laptop, as well as being very easy to get started with. After installing the software for the first time, your local WordPress installation can be up and running in just a few clicks, ready for you to start coding, testing, or just getting familiar with the software in a safe environment. 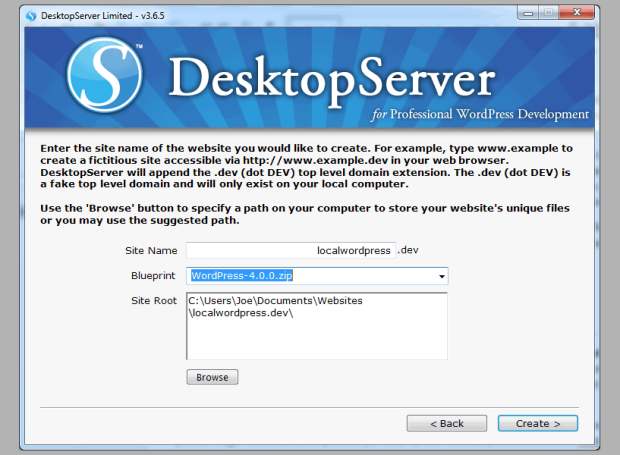 DesktopServer is available in both free and premium versions. Those who would like features such as the ability to copy WordPress websites; directly deploy WordPress to a live server; and manage unlimited local websites, as opposed to just three; can upgrade to the premium version. For everyone else, the free option should suffice. 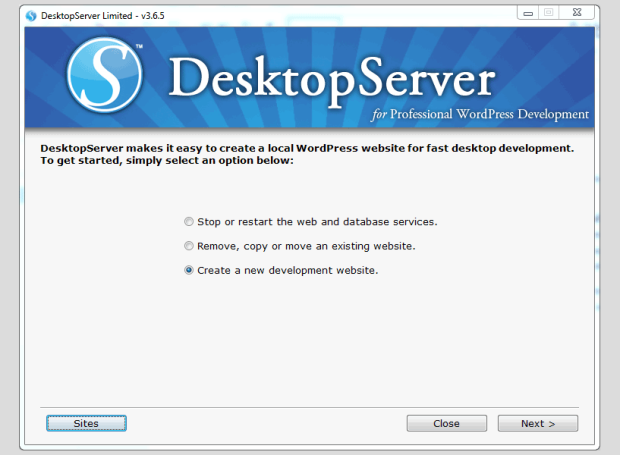 As mentioned above, DesktopServer is my preferred method for setting up a local installation of WordPress, which can be accessed offline. This option will run on both Windows and Mac computers. While I’m a Windows user, the installation and site creation process is reportedly almost identical for both platforms, so Mac users can hopefully follow along too. 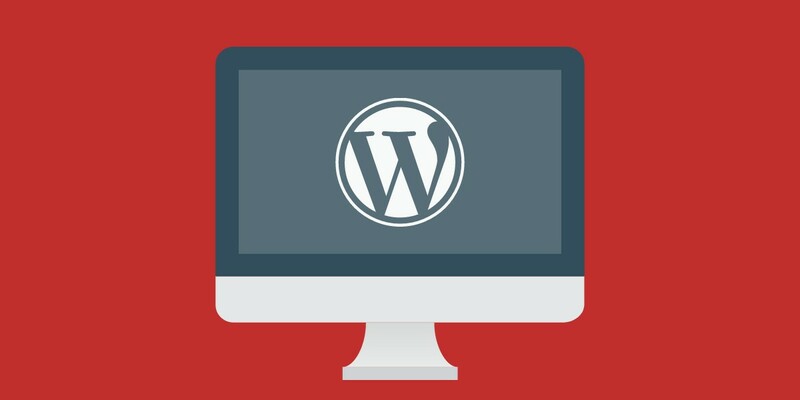 By the end of this quick guide, you will have a local installation of WordPress up and running on your computer, ready for you to work on. After downloading the installer file for the latest version of DesktopServer file and extracting its contents, and the double clicking the install file, you can begin the installation process. From the options on the first screen, select Create a new development site, and hit the Next button. On the next screen, you can enter the name of your WordPress website. This will also serve as the local address of your site. For your reference, the DesktopServer uses a fictional .DEV extension for the top level domain of your local website. You can also select WordPress in the Blueprint section. This will ensure WordPress is installed to your local server environment. You also have the option of creating a blank installation, and then installing WordPress or any other compatible software yourself manually, at a later date. You can also choose the location on your computer where the software will be installed. Unless you have any other preferences or requirements, the default location should be fine. The next screen will report the progress of the installation, as the files are created and the local environment is set up. Once, its finished, you can click on the Next button to proceed. After following the link on the next screen, you can complete the famous five-minute WordPress installation. This requires you to enter the title for your site, and your username and password for logging in. Once WordPress has finished installing, you can access your new local website in your web browser. 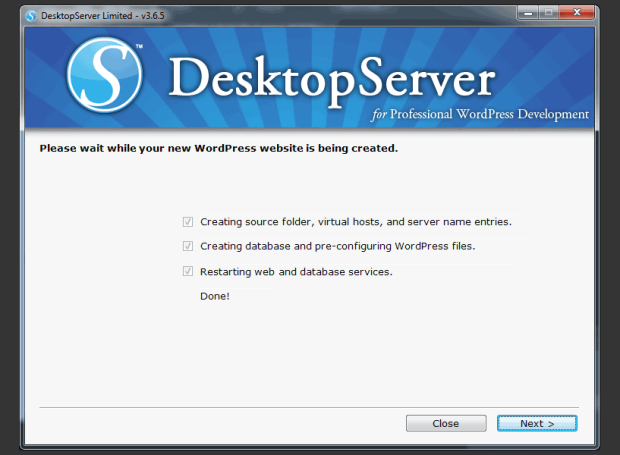 In the future, each time you want to access your local WordPress website, you must first run the DesktopServer software, but you do not need to reinstall WordPress – just click on the Sites button instead to see the list of WordPress websites on your computer. Now you can explore your new WordPress website, start installing themes and plugins, or migrate an existing site to it. If you do want to make some changes to your live WordPress website, such as tying out a new plugin, changing the theme, or tweaking the settings or code, making a copy of that site, and transferring it to your local installation of WordPress is a great idea. You could upgrade to the premium version of DesktopServer, which includes a tool just for this task. Alternatively, you could use the free Duplicator plugin. This option gives you a fairly straightforward way to move your whole site, from one location to another. This short video from the developers of Duplicator provides a great walkthrough of the process. Essentially it involves installing the plugin on the site you wish to copy. After activating it, you can then create a new package from the Duplicator page on your website’s admin area. The package will be used to copy the contents of the website to the new location – in this case a local installation of WordPress. Once you’ve created the package, you can download it to your computer and run the package installer. This will transfer the website, in just three steps. You should now have a local copy of your WordPress website to work on. The same process can be used in reverse, to move the changed version to the live server. If you are looking for a smoother option for creating a WordPress staging environment, for managing your offline and online versions of your website, it might be worth keeping an eye on the Stagecoach plugin. This plugin is currently in beta mode, but it looks like it will be an invaluable tool when it launches. Personally I use my local installation of WordPress – powered by DesktopServer – nearly every day, to test themes and plugins for review purposes. However, whatever your needs for a development environment of WordPress are, installing a local copy of this software is always a good idea. Being able to use a free plugin like Duplicator to then quickly copy a live website to your local installation, makes it even easier to setup a reliable development version of your website. While you can never guarantee your customizations and tweaks will go live without a hitch, testing them on a local installation first, is a great way to mitigate some of the risks. If you have any questions about setting up a local version of WordPress on your computer, or you have any tips to share for anyone making changes to their website, please use the comments below – we’d love to hear from you.